World War II forced the artist to flee to Brussels where he was arrested by occupation forces and charged with espionage, though he was later released. 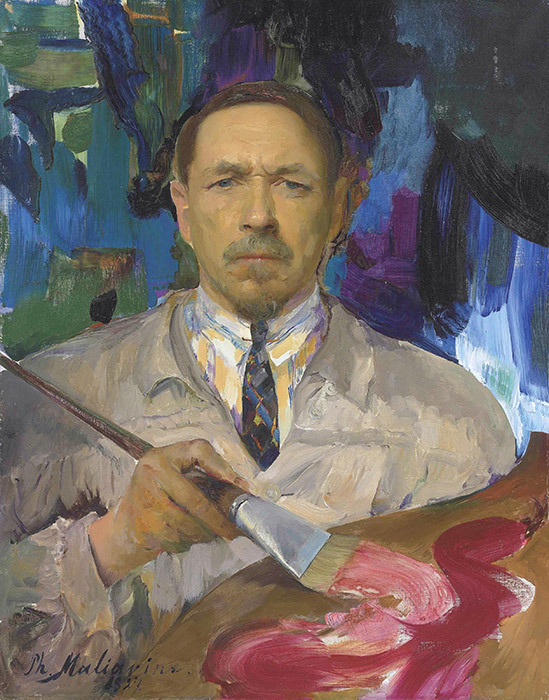 Soon after, Malyavin died. / A Self-Portrait of the Artist. Filipp Malyavin, one of the leading Russian artists of the early 20th century, is known for his series of “blossoming Russian peasant women” with elements of modernist style. His exhibit opened at the Russian Museum in Saint Petersburg.